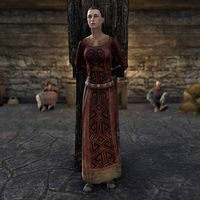 Lady Eloise Noellaume is a Breton you meet at Noellaume Manor. You rescue her and Arcady, her husband, from the Red Rook Bandits. This page was last modified on 18 October 2017, at 03:38.